Technology is becoming a large part of everyone’s day-to-day life. While technology suited for children is best in moderation, it can also be an important asset when it comes to learning. As you consider your children’s future, you may wonder if an Orlando Catholic school would familiarize them with the fundamental skills and programs that they will be using throughout the remainder of their academic career. Our faculty at St. Charles aims to give our students the building blocks they need to succeed in life—and that includes teaching them useful technology skills. We’d like to highlight a few ways our students interact with technology at St. Charles Borromeo. Our students learn about technology in our fully functional computer lab. Our teachers are present to guide them and help them gain essential knowledge regarding frequently used programs in school and in the workplace. Once a week, our students attend the computer lab for a tech class focused on library and computer skills. With guidance from their teacher, they will learn about digital citizenship, PowerPoint, and Google Apps. Our students are able to utilize technology in our library. They have access to Google School, Google Apps, and the learning tools Pixie and Wixie. They are also able to use Microsoft Office Suite in the library. Our technology classes are led by our Media Specialist, Liz Herwig. Our teachers also help our students with professional development—where technology is continuing to play a bigger role. Previously, we were a one-to-one iPad school for students in sixth through eighth grades. However, we found that iPads weren’t as effective for our students—so we’ve put effort into equipping our students with more appropriate educational technology. We’re working to integrate Chromebooks, Windows Laptops, and still utilizing iPads on a smaller scale into all classrooms at all grade levels. In our information-driven world, knowledge of how to responsibly use technology is becoming a required skill. Our faculty at St. Charles Borromeo want to help our students develop healthy relationships with technology and become familiar with the programs they may continue to use later in life. As an Orlando Catholic school, St. Charles Borromeo is dedicated to helping our students foster healthy habits, as well as grow academically and spiritually. 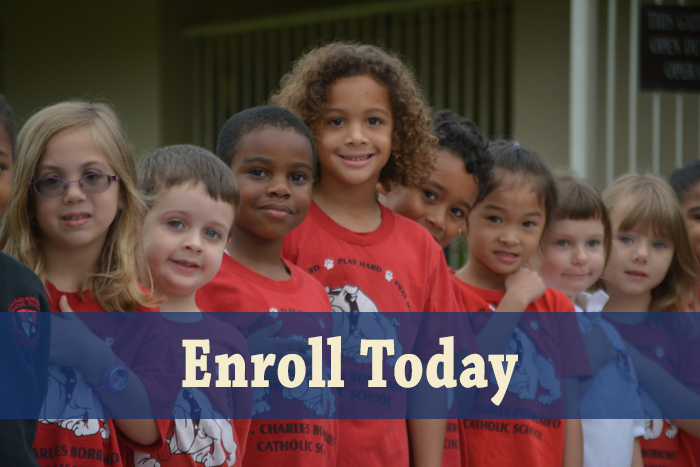 If you’re interested in enrolling your children at St. Charles Borromeo, you can visit our admissions page.